Thanks, KBF! Hmmm...I wonder if Kahlua and eggnog would work...? 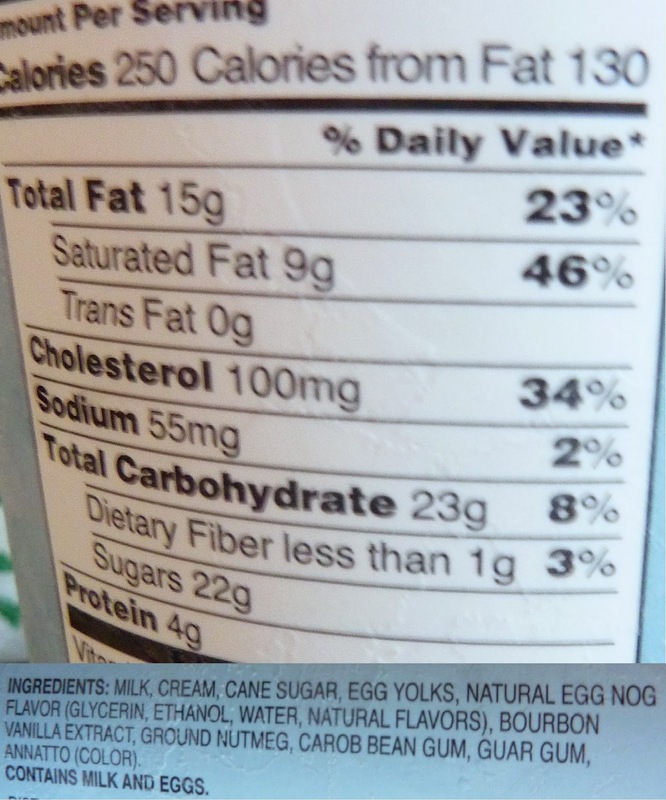 Wow--I'm surprised your review is not better of this (imo) heavenly egg-nog-a-licious treat. I find it to be a sumptuously delightful holiday experience... love putting it in my coffee!... 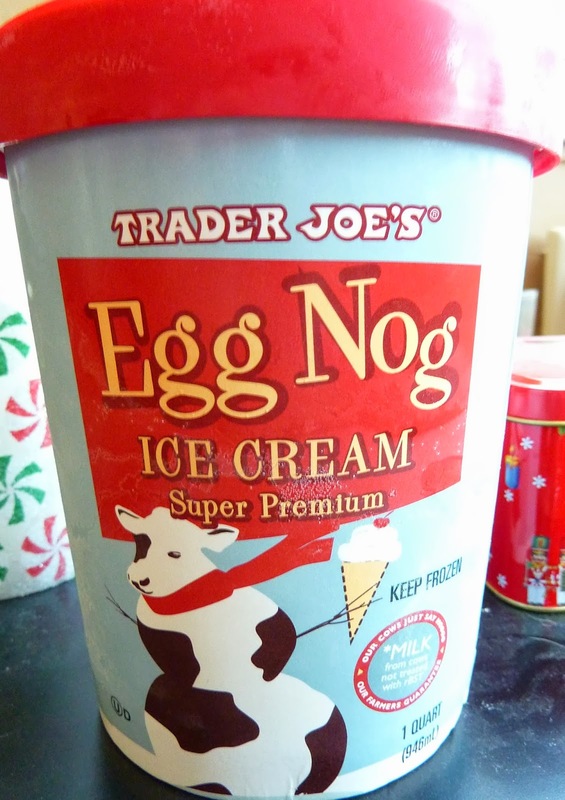 and am already stocking my freezer with it to get me through the non-eggnog parts of the year to come =( I agree that SoCo brand is way better than TJ's actual eggnog, but this ice cream knocks my socks off. I'll have to try the Jaeger, but I just finished the most recent carton of eggnoggy goodness. BTW, it really depends on what rum you use. Stuff like Bacardi is like paint thinner, imo. "Spiced" rums are mostly cheap rum with a bunch of flavorings to hide the rum flavor. Best general rum for mixing (with Coke, eggnog (regular or ice cream! ), etc. is Appleton (from Jamaica). Nice caramel flavor with other hints, and it transforms Coke into a better drink (instead of just adding an alcohol edge). Even their base Special is really good; the VX isn't pricey and is also great for sipping. Mount Gay is also really good. Am thinking you were a little hard on the Trader in this review. 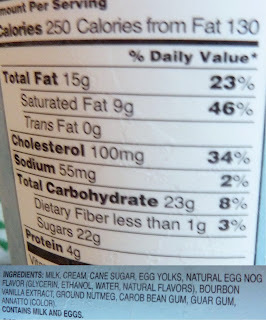 The eggnog ice cream is premium thick (I think they call that low over run) with a consistent pure eggnogy flavor. It doesn't get anymore eggnog than that for me. 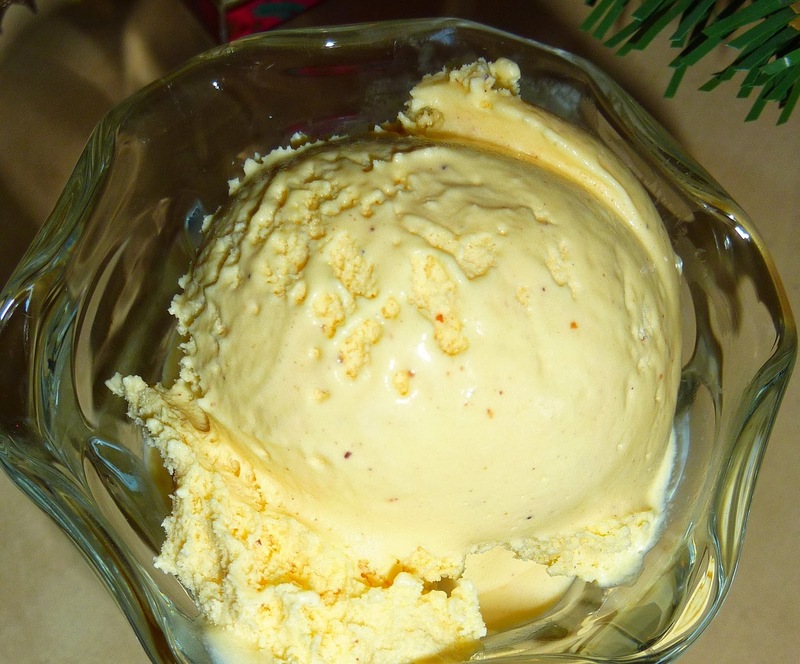 You have to try Christmas Milk Brands French Vanilla Eggnog Ice Cream. It comes in three flavors, Original, Chocolate Swirl, and Sea Salt Caramel Swirl. It is available year round..Super Good!